All you have to do is Be Yourself. Be proud. Be confident. 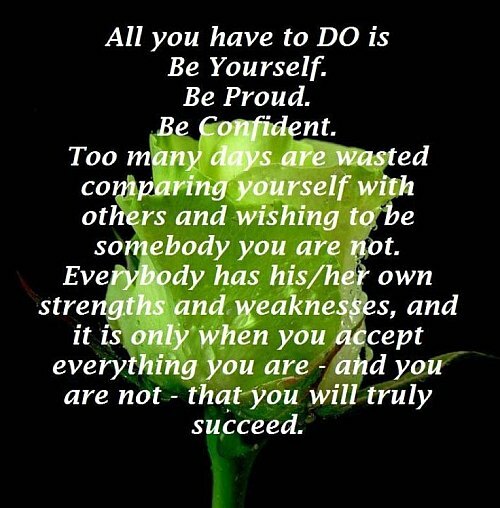 Too many days are wasted comparing yourself with others and wishing to be somebody you are not. Everybody has his/her own strengths and weaknesses, and it is only when you accept everything you are- and you are not- that you will truly succeed.